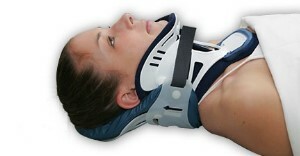 Eight months ago I blogged about inline stabilization vs inline traction of the cervical spine. Click here to read the post. A reader recently asked what the optimal method for inline stabilization is. We’ve been pondering this question for nearly 30 years. In 1983, trauma surgeons at UCLA looked at a number of devices available at that time and tested them on normal volunteers. They measured neck motion to see which was “best."